What is now known as Alleghany County was once part of the vast Appalachian wilderness, frequented by Indians in search of game. Wildlife such as the elk, buffalo, deer, bear, puma and wolf abounded. The advent of the white settlers from east of the Blue Ridge drastically changed this picture and ushered in a different society and lifestyle than what was known. 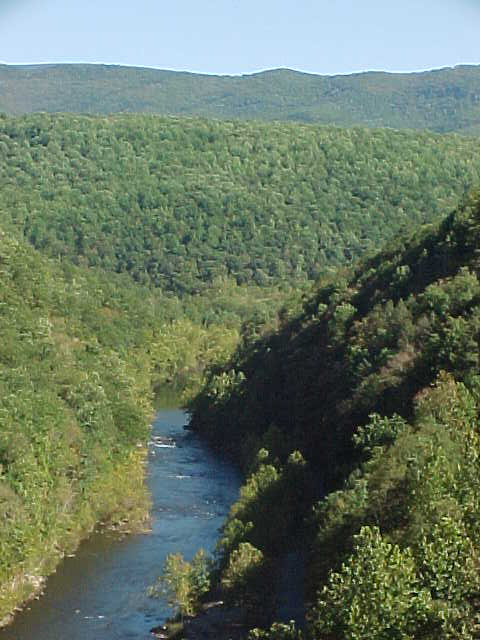 Originally, the first settlers in the Shenandoah Valley (the "Great Valley of Virginia") laid claim to the land of what is now Covington in 1745 when the area was administered by Augusta County. This changed in 1769 when Botetourt County came to control much of the area. Boundaries were not exact and both Bath and Monroe Counties contained portions of present Alleghany County - Covington region. In 1817-1818, the town of Covington was named in honor of General Leonard Covington, the outstanding and courageous hero of the War of 1812 who was mortally wounded the eleventh day of November, 1813 leading his troops at the Battle of Chrystler Fields near Williamsburg, Canada. By the time of the sale of lots in 1818, it was anticipated that it would be advantageous to form a county to provide local administrative and court services. To record deeds required a two-day trip to Fincastle by horse. Accordingly, Alleghany County was formed by Act of the Virginia General Assembly from portions of Botetourt, Bath and Monroe Counties on January 5, 1822. Despite the sale of the lots, Covington grew very slowly for by 1855, there were only 43 houses on two streets. At that time this was an agricultural community and the prosperity of stores and businesses in the town depended upon those tilling the soil, raising crops and livestock. The first industries included the Covington Iron Furnace in 1891 (in Sunnymeade) which produced 110 tons of pig iron daily, the steam powered Deford Tannery (near present Superior Concrete Plant) in 1892, the E.M. Nettleton planing mill, and the Covington Machine Shops which produced the patented Coke extractors for use in furnace cleaning in the steel making process. Also there were two flour mills, two brick yards and the Alleghany Pin and Bracket Company. Westvaco did not begin operations until 1900 when A. Adams McAllister sold land to the company at a low price as an inducement to locating in Covington. 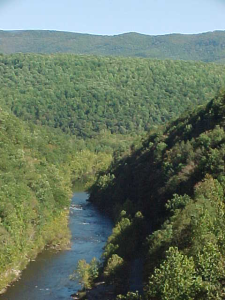 Now, MeadWestvaco is the largest corporation and employer in the Alleghany Highlands. The 1890's were an economic boom to Covington. Population jumped from 704 in 1890 to 2,950 at the turn of the century. The railroad ran fourteen passenger trains daily through Covington and the City was the fourth largest freight paying station on the entire C&O after Chicago, Cincinnati and Richmond. Industrial development occurred in the 1890's and this caused the local population to increase and the town to develop its public services. 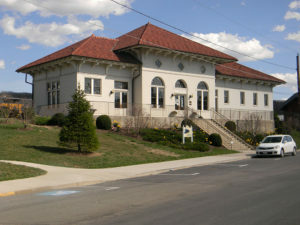 A bond in the amount of $10,000 was authorized in 1892 for sidewalks and sewerage and the high school (former City Hall) was built for $30,000 around that time. Other industries moved into the area, of which two are Industrial Rayon (now Applied Extrusion Technologies, Inc. or AET, Inc.) (closing operation in March, 2008) and Lear Corporation (closed operation December, 2005). Also the Allied Chemical Corporation assumed control of the former Extraction Plant and continued its operations. 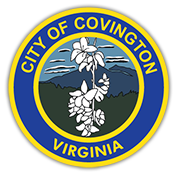 In 1902, the Town of Covington was designated by the General Assembly to be the county seat of Alleghany County. After several expansions of the corporate limits, the Town of Covington became a City in 1952. Covington offers a wide range of services and facilities for its citizens and possesses a sound financial base. Since Covington is an independent City, residents of the City pay only city property taxes and not city and county property taxes as do residents of towns.